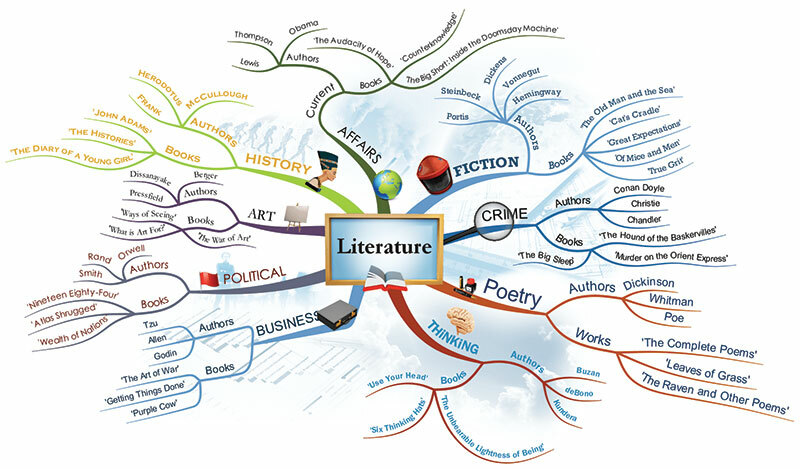 Mind mapping is an innovative learning technique that helps students visualise and externalise concepts by creating mind maps i.e, diagrams to visually organise information. It is commonly used as an effective learning aid, to boost critical thinking and in presentations, brainstorming, decision making and project management. The phrase ‘mind mapping’ was coined and popularised by British psychology author/educationist Tony Buzan. But the idea of visually mapping information and graphically representing ideas and concepts dates back to the third century when Greek thinker Porphyry of Tyros used it to explain his philosophy. Buzan is credited with coining the phrase ‘mind mapping’ while hosting a BBC television series in 1974. In a TEDx talk in 2012, Buzan expounded the theory that the human brain works on imaging. For instance, when he mentioned the word ‘mango’ to his audience, all of them said it was the picture (of a mango) that first came to their minds. Buzan’s thesis is that the brain works through radiant associations, colours, and multiple sensory linking. Start at the centre with an image of the subject/idea/concept, using at least three colours. Use images, symbols, and codes throughout your mind map. Select key words and print using upper or lower-case letters. Each word/image is best left alone and sitting on its own line. The lines should be connected, starting from the central image. The lines become thinner as they radiate from the centre. Use multiple colours throughout the mind map, for visual stimulation and also for encoding or grouping. Develop your personal style of mind mapping. Keep the mind map clear by using radial hierarchy or outlines to embrace your branches. Mind mapping requires students to actively learn by connecting prior knowledge to new information. When creating mind maps, students frequently interact with textbooks, notes from class, an instructor, classmate, or study group. When used in classroom instruction, mind mapping techniques have been shown to improve students’ learning outcomes (Horton et al, 1993) and knowledge retention (Nesbit & Adescope, 2006). In another study (Cunningham, 2005), 80 percent of students reported that “mind mapping helped them understand concepts and ideas in science”. Other studies also report positive effects through the use of mind maps. Farrand, Fearzana, and Hennessy (2002) found that mind maps enabled medical students to retain information and encouraged deeper levels of learning, especially when paired with a problems-based learning curriculum. Several apps can be downloaded and used to create mind maps. Among them is miMind. You can also draw diagrams with the help of clip art, cartooning and doodling apps. Draw the life cycle of a butterfly. If you are planning a birthday party, create a mind map of guests, food to be served, decorations needed, party games that children will play, return gifts and the contents of your invitation card. Create a ‘My everyday schedule’ mind map of what you do in school, after-school, etc.Create a mind map of ‘When I grow up’. Mark yourself in the middle with your dream career and branch out about why you have chosen this goal, the steps you need to take to attain the goal, etc. Children can also use simple stories and create a mind map of the story. Or, you can select a lesson from one of your school textbooks, any subject. Read it once. 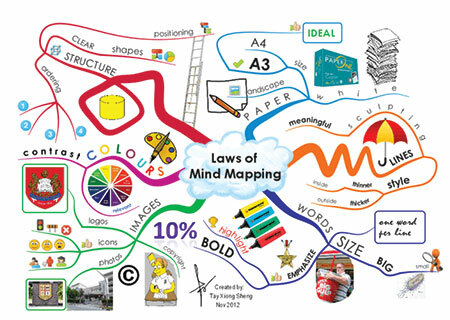 Now follow the steps given by Tony Buzan and create your mind map. Remember to use images and colours. According to latest research, the brain is able to better retain learned information if it is recollected frequently. Therefore, read through the mind map more than once (preferably six times) to reinforce learning.